Im having issues with the console passing signal through any center section “components"
The center section was modded by Jim Williams almost exactly a year ago. I DO NOT get stereo bus to pass signal from channels routed to ST bus etc. 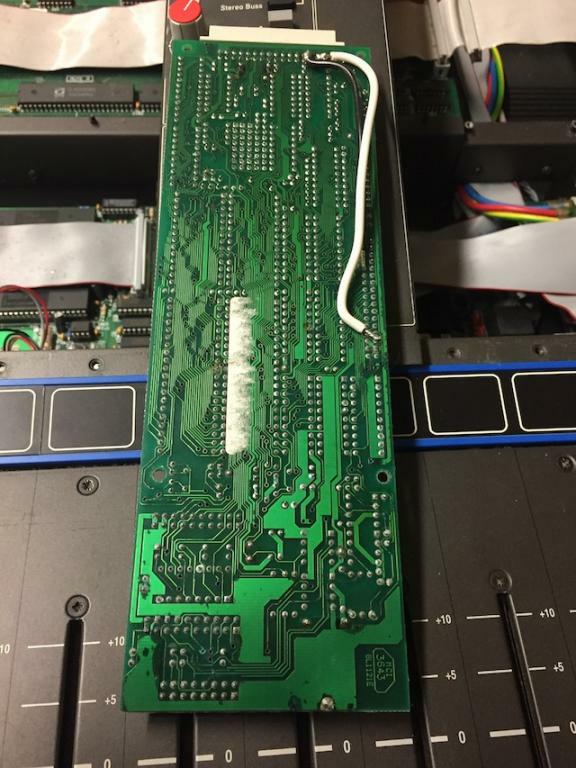 Im not sure if this would be an issue within the BIG 3 module, a 401 PSU issue (which all outs are testing correct with DMM), or an issue with the CPU card causing other issues? UPDATE... disconnected all of the Virtual Dynamics cards and am now passing signal to the Stereo bus via channels, going to do a sonic test on all channels and auxes but the VD seem to have stuck everything to "OFF" going to the master section. more updates... after doing some more tests, it seems the 5V rail is a bit hot (measureing 5.6, 5.5 V at PSU, at the desk and internally), after talking to Dave Rochester (Amek guru). He said to try and trim it to 5.1, 5.2 V and that should be right. Also after having a chance to really dig into the master section, all monitor facilities are NOT working (2 tracks, Externals, CR & Studio Speaker outputs, etc.) but the channels send to stereo bus "mix out" jacks just fine. This is with the VD cards DISCONNECTED. 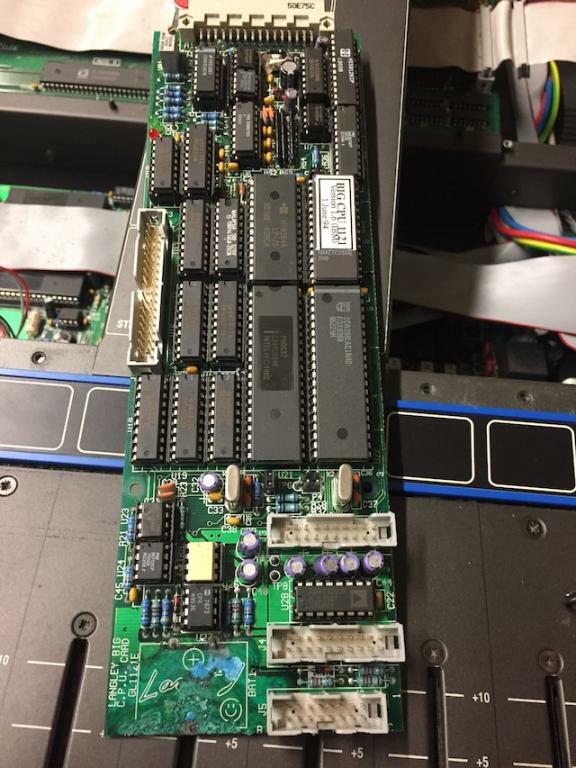 So next step is to see if once we take the 5V rail down to 5.1/5.2V if we can get the monitor facilites working and then try connecting the VD cards again. 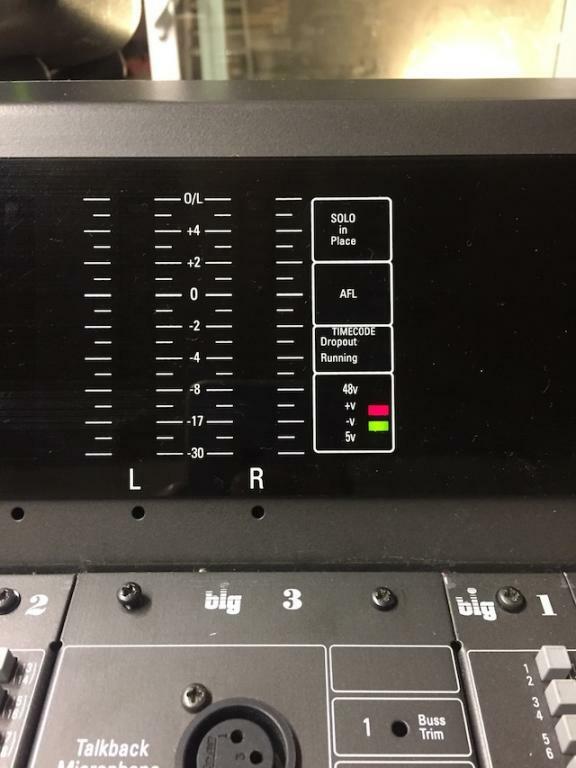 1) Channels seem to work properly when FADER ISOLATE is engaged. Without FADER ISOLATE engaged, signal is very, very weak. 2) Channel properly feeds MASTER BUSS via MASTER FADER. 3) STEREO INSERTS and STEREO BUSS seem to output properly. 4) AUXES work correctly, but AUX 1 seems a bit lower in volume. 5) AFL not seemingly working, or I don’t understand how it is supposed to work. But SIP lights work properly. 6) AFL and Peak VU metering seems visibly correct. 7) OSC is working properly. FOLLOW AUX 1&2 - Clicks at STUDIO MONITOR output, when selected but does not pass sound. SOURCES seem to select and receive input properly. Metering follows material, but no sound output. SPEAKER 1/2, MONO, DIM, MUTE have no affect on the output. Neither VOLUME KNOBS have no affect on the sound. Ok, so now we've got everything working! Woo Hoo!!! im still going to get a new MPS-15 PSU and use the 400 as a back up since parts are not available for it anymore. 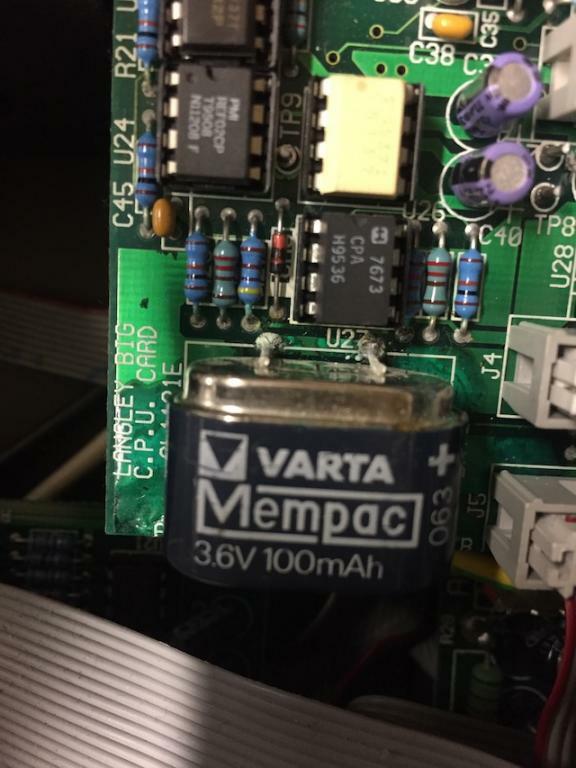 Does anyone have any results, sonically, that theyve experienced between using an older PSU vs. new MPS-15 / new GRS psu? im curious what a new beefier PSU will do for the desk sonically...?! well we seem to have a set back... the stereo bus / CR monitor seems to be intermitant. It will randomly stop passing signal, power cycling will fix the problem temperaraly, sometimes, and sometimes it will just work again after some time...? We are pulling our hair out not being able to track this problem down. I know its been a while.. But did you you manage to fix/find the problem? I sent it back yesterday. It had some damage to the power rails and some traces were burned up. None of this damage was related to any of the work I did. Rochester repaired the burned up parts. I removed the stereo VCA's and installed a socket. A pair of headers were made to replace the VCA's with a wire. After that a test was done from mix buss to the balanced outputs. All works properly and measures up correctly. The VCA's probably still work fine but the control voltage or software may still be the source of the remaining issues. An audio circuit board layed out with tiny, thin 12 mm traces like a computer CPU isn't the best way to do an analog signal path. In fact, it's one of the worst. Besides those traces burning up from a little extra current, they also restrict current and give the audio a thin sound, just like the traces look. In comparison, my Soundcraft console has 30 to 50 mm traces everywhere, it has a fat sound too. Thanks for the answer Jim! 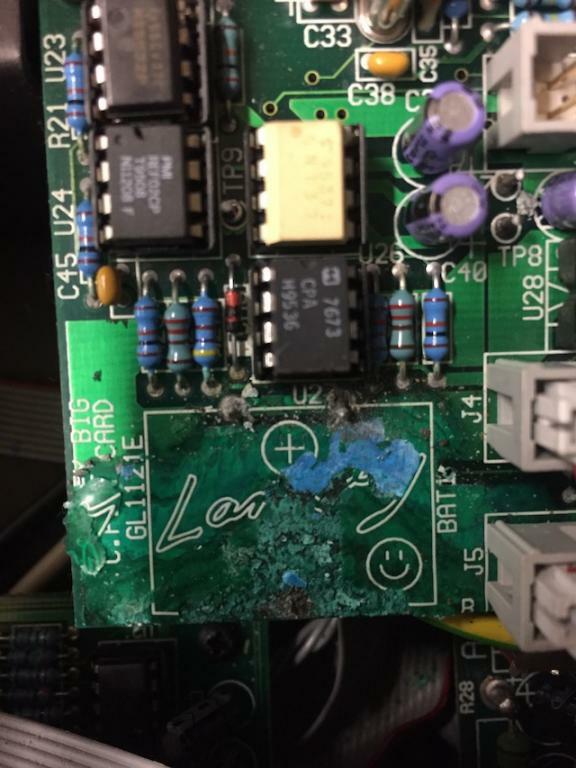 I recently replaced my psu with a new one from GRS so i'm hoping I won't encounter such problems, burned up traces, good lord. It is the first time I heard this one though..